If you’re heading to Italy for a romantic getaway, be sure to make some time to take your honey to one of these special spots. Take in the glorious sunset at Florence’s Rose Garden below the Piazzale Michelangelo, enjoy a candlelit meal at Grotta Palazzese in Puglia, or pop the question at Juliet’s Balcony in Verona. In addition to romance, these spots have much to do. Read on more details on these enchanting spots throughout Italy. 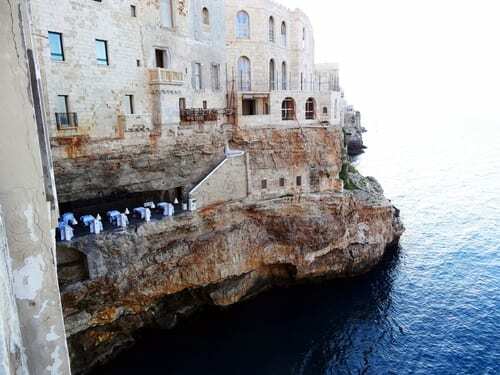 Grotta Palazzese is a restaurant tucked into the limestone of cliffs overlooking the Adriatic Sea. This is a truly gorgeous place! Most notably, it is known by many as the most romantic restaurant in the world. In fact, the entire city of Polignano is made for lovers, with a stunning white-washed old town and gorgeous turquoise waters. In addition to stunning views, you can expect delicious Italian cuisine and an amazing wine selection. 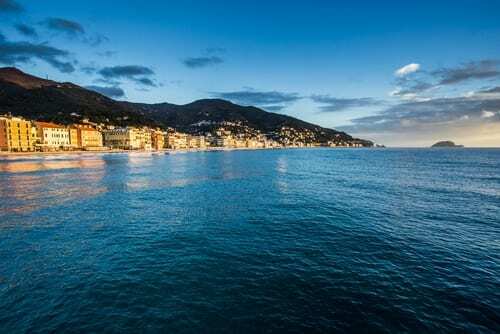 If you are a fan of love stories, you need to visit the seaside town of Alassio. The story goes like this: Alassio was founded by the royal daughter of Otto the Great (Adelasia). Adelasia eloped with a servant boy, Aleramo. Adelasia and Aleramo fled the coast, living in poverty for years until Adelasia’s father forgave them. In addition, you’ll find fun little things throughout the city to celebrate the young, rebellious lovers including a local macaroon made of chocolate and hazelnuts, dubbed the “baci di Alassio”. 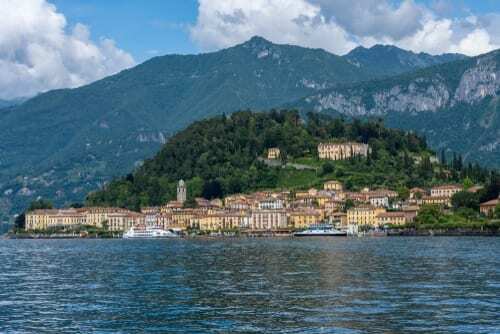 Finally, if you’re looking for a lesser-known Italian lake, head to Lake Orta. This peaceful and romantic place is a little known gem, often overlooked for the more popular Lake Como. In fact, we think it is even more romantic than Como! It is a gorgeous place with stunning water views, medieval villages, restaurants and luxury shopping. 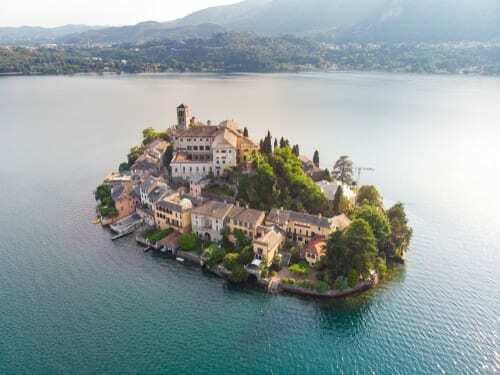 In addition, don’t miss the stunning San Giulio island, pictured above in the middle of Lake Orta. As of the site of the greatest love story ever told, Juliet’s Balcony tops our list of the most romantic spots in Italy. Although Shakespeare’s Juliet wasn’t based on a real person and this balcony doesn’t actually have any relation to the story, it is still a romantic place to enjoy with your sweetheart. 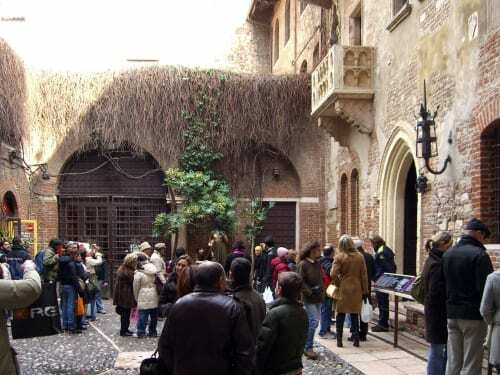 The house where the balcony is located dates back to the 13th century and the courtyard features a statue of Juliet. Though most everything about the house and the balcony are fiction, the emotions that lure people to it are very real! You’ll find notes scribbled all over the wall beneath the balcony. These notes ask for guidance in love. In addition, legend states that rubbing Juliet’s right breast on the statue will bring you luck in love. We think the entire town of Cinque Terre provides the perfect backdrop for romance. Most notably, however, is Love Walk. This is one of the most popular places in all of Italy to pop the question. With the gorgeous crashing waves just below you, you’ll feel like you died and went to heaven. Florence’s Rose Garden and its enchanting floral display offer one of the most romantic spots in Italy. 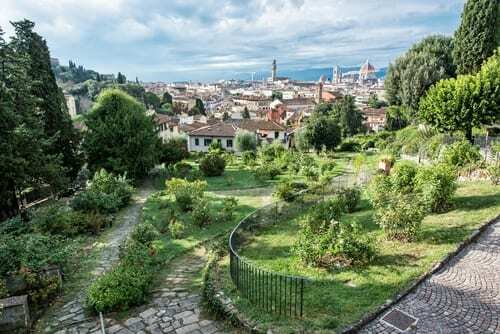 It is located just steps from Florence’s famed Piazzale Michelangelo, making it the perfect combination of gorgeous Florence city views and stunning flowers. Romance abounds in Lake Como, with an ideal mix of nature, quaint villages and stunning views. Bellagio is lovingly referred to as the Pearl of Lake Como. It is located between the two south branches of Lake Como, and you may recognize the beautiful villas which overlook the water here. This is one of the best spots in Italy to soak up the romance. Start your visit at the town center for shops, local food and quaint little streets to explore. After that, explore one of the beautiful gardens that Bellagio has to offer. Take a stroll through the Villa Melzi gardens or the gardens that surround luxur hotel Villa Serbelloni. 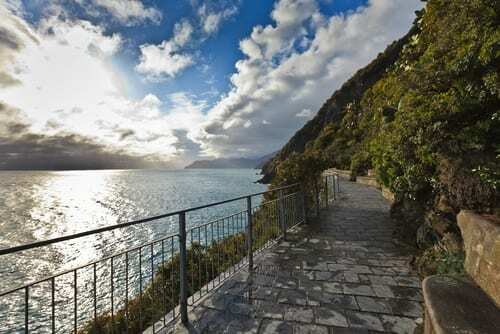 After exporing, take a short walk on Via Eugenio Vitali which will take you to Punta Spartivento. This is located in the middle of the three branches of Lake Como, and offers a quiet place to relax and take some amazing photos. In addition to Punta Spartivento, Pescallo is another great place to unwind. You can reach this old fishing village by taking a stepped pathway starting from the town hall of Bellagio. Call us today in order to speak to one of our Italy specialists! You can reach us at 402-390-9291. In addition, you can get started here.